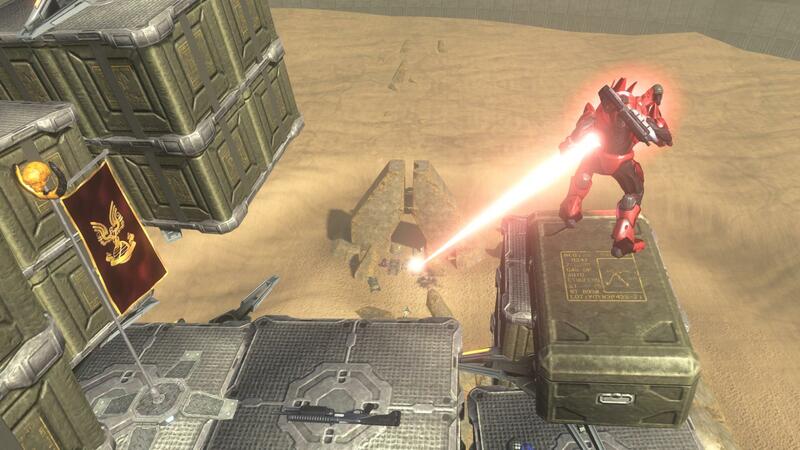 Manny dips into the cream of Halo 3′s user creations. Whilst it hasn’t generated the buzz of LittleBigPlanet, or the barrage of impressive statistics that filled the Spore universe, Halo 3 can still hold its own as a champion of user-generated multiplayer content. As we’ve seen with other titles, however, the more popular and accessible your creative toolset, the less easy it is to filter out the dross. Bungie’s community files section, though a fantastic tool in the past, is struggling under the weight. Sky Castle is among the crème of the many Forge architectural oddities by virtue of being both aesthetically interesting and functional. 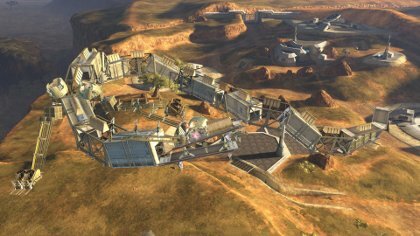 The huge tower that dominates an otherwise untouched SandTrap provides a great sniper’s outlook, a less-than-impenetrable fortress for CTF or Tower of Power, and an approachable last-man-standing hideout for Infected. As with all the best Forge creations, crafting your own experience around Sky Castle’s geometry is half the fun. This design rises far above the competition. In contrast to the utilitarian appeal of the previous entry, Shenlong Dragon is almost entirely fanciful. Painstakingly perched on top of the Standoff valley, this is an impressive structure to navigate. With multiple routes to the top, its curved body and Chopper-laden mouth provide some picturesque and occasionally useful scenery for slayer matches. Dismayingly popular amongst the juvenile machinima crowd, we urge you to put the Dragon to good use elsewhere. 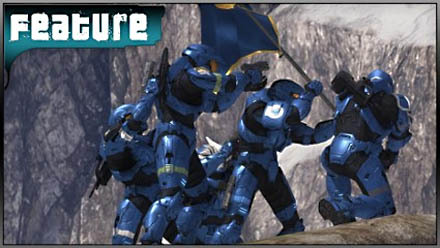 Posted in Features, FPS Gamer, and tagged with best of, bungie, first-person shooter, Forge, fps, Halo 3, user-created content.